In an animated film such as Wreck-It Ralph, everything we see onscreen from the sets to the characters has to be created from scratch. While visiting Disney Animation Studios on February 14th, we were able to spend some time with several groups of people who brought this film to life. For me personally, the characters and settings were so vivid and real in Wreck-It Ralph. But because it’s animated, every character and every setting used in the film has to first be conceptualized before finding their way to sketches, storyboards, and eventually onto a program called Maya. Maya is 3D animation software that Disney animators use to do a variety of things, including animation, rendering, simulation, and compositing. The software is also used by game developers, and if you have seen Wreck-It Ralph then you know video game worlds (arcade games, specifically) are important settings in the film. The two main tools for creating the world we see in Wreck-It Ralph are a mouse and a keyboard. Unlike in a live action film, there is not an organic feel to this process. In order to make it more real and vivid, the team members use what is called capture technology. In the room, there was a a square area marked off with tape and soccer cones. Directly above it were six cameras with red LED lights, which were focused on the taped off area. They put markers on any object they wish, and the cameras then monitor the position and orientation of those objects. The information they capture then goes back to their computers, and they render the scene from that point of view onto the camera that we then got an opportunity to operate ourselves. In the short clip above, I am controlling the movement of the camera and determining which character and action in the scene I want to focus on. The camera was surprisingly light in my hands, and I enjoyed getting to decide for myself how exaggerated I wanted the movement to be. Thanks to this demonstration, I learned that people with all sorts of educational backgrounds (photography, cinematography, software development, etc.) are all important in the film making process. 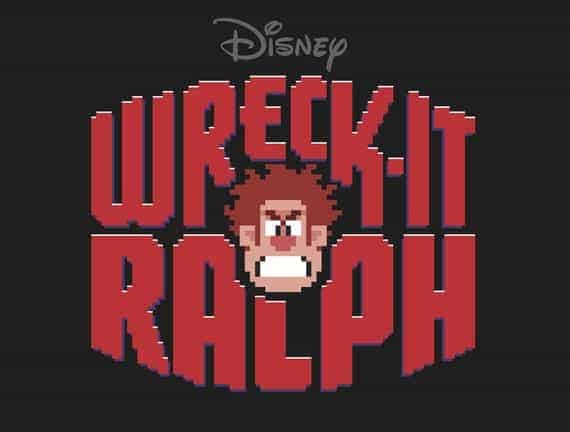 Wreck-It Ralph is available on HD Digital right now! The Blu-ray Combo Pack will be available on March 5th, 2013. I love Disney movies and I’ve been wanting to see this one! Thank you for explaining how the movie was made!!!! It is amazing all the work and people involved in creating a film like Wreck-It Ralph! My kids loved this movie. What a great experience being able to go behind the scenes. Sounds like fun. I found it to be very interesting to find out more about how a movie like this is made. You were lucky to be able to go behind the scenes.